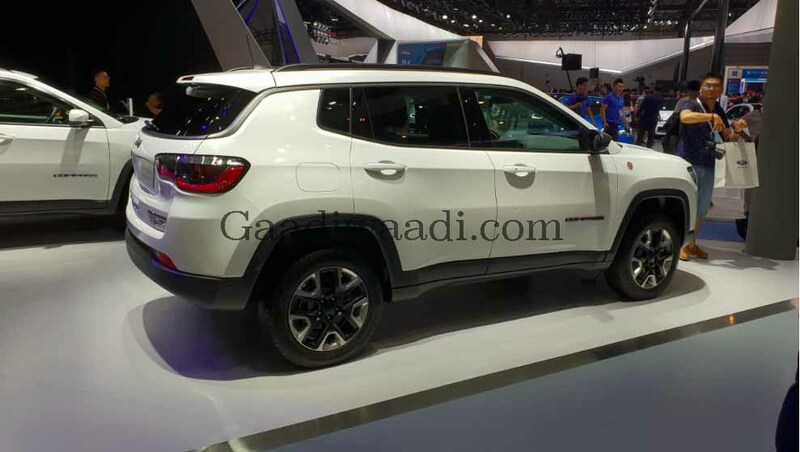 The Jeep Compass Trailhawk, which will launch in India by the end of this year, has been showcased at the ongoing Chengdu Motor Show 2018 in China. 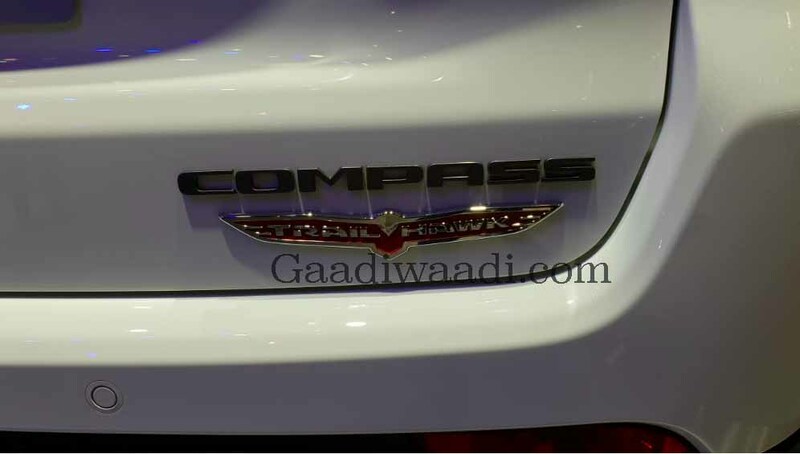 The Compass Trailhawk is basically a more capable off-roading variant of the regular SUV. 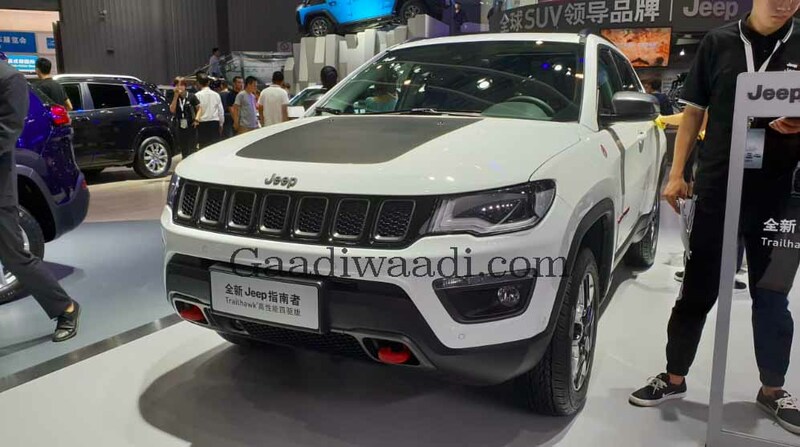 It is the most expensive variant in the current Jeep Compass lineup. 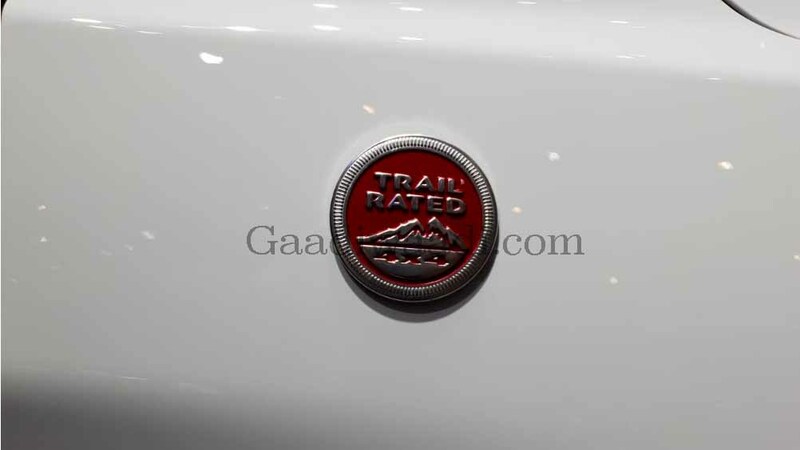 On the outside, the Trailhawk model shown at the motor show gets a dual-tone colour scheme, an underbody skid plate, a red ‘Trail Rated’ badge on the front fenders, and a Trailhawk badge on the boot lid. It rides on 17-inch alloy wheels shod with all-terrain 225/60-spec tires. Both the bumpers of the Trailhawk have been redesigned for better approach and departure angles. Thanks to the revised bumpers, the Jeep Compass Trailhawk gets a 30-degree approach angle, 24.4-degree breakover angle, and 33.6-degree departure angles. The Trailhawk also gets the company’s low-range Active Drive 4WD system and 20 mm of additional ground clearance. The Selec-Terrain 4WD system of the Jeep Compass Trailhawk gets a new Rock Mode that helps it trot on the challenging rocky surfaces. The interior of the Trailhawk model gets all-weather floor mats and Hill Descent Control as standard features. The most capable variant in the Compass lineup is 4,398 mm long, 2,033 mm wide, and 1,529 mm tall. It has a maximum water wading depth of 482.6 mm. 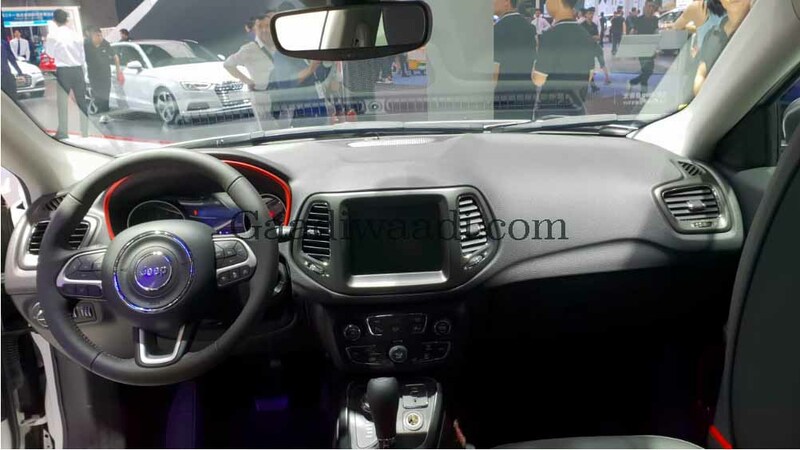 The interior of the Jeep Compass Trailhawk also gets all-black leather seats with ‘Trailhawk’ insignias, contrast red accents on the dash, Panoramic sunroof, six airbags, dual-zone automatic air conditioning system, cruise control, seven-inch UConnect infotainment system with Android Auto and Apple CarPlay, etc. Powering the Jeep Compass Trailhawk is the same 2.0-litre diesel engine that powers the regular variants. It offers a maximum power of 170 bhp along with a peak torque of 350 Nm. The engine comes mated to a nice-speedn automatic transmission. 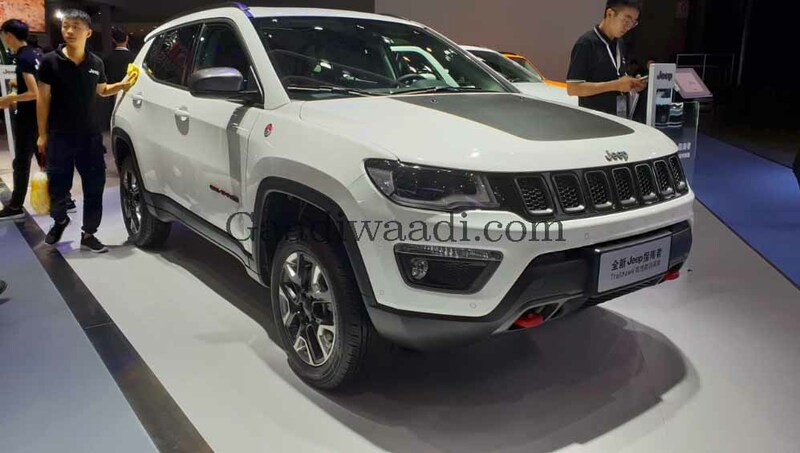 In India, the Trailhawk is expected to go on sale with a sticker price of Rs 22 lakh.